Does Insurance Cover Cosmetic Dentistry in NYC? Cosmetic dentistry extends far beyond teeth whitening. It also includes porcelain crowns, braces, bonding, bridges, shaping, gum contouring, and veneers. This type of dentistry can be low to moderate and reach extensive measures such as full mouth reconstruction. Those who are in need of cosmetic dentistry in NYC often wonder if their insurance will cover the treatment and procedures they require. All dental insurance coverage plans are different. You will need to consult with your insurance company in NYC to learn about cosmetic dental treatment coverage. 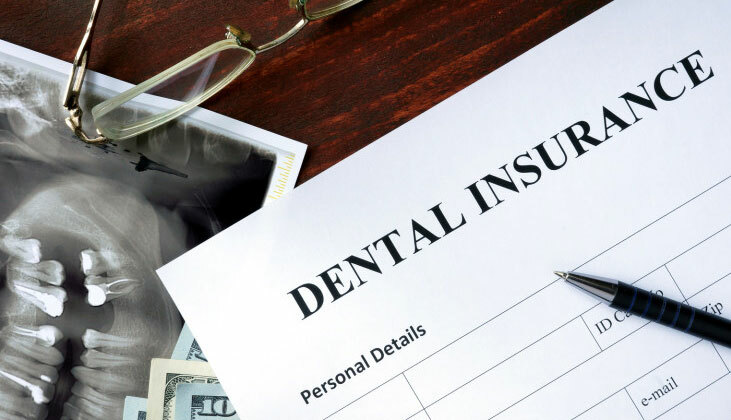 Generally, some health insurance plans do cover a percentage of the cost which helps minimize the out-of-pocket expenses for cosmetic dentistry. Other dental insurance plans don’t offer coverage at all for cosmetic dentistry procedures. Whether your insurance covers a percentage of the cost or not, you will need to pay the remaining balance. Once you find out the remaining balance amount of your cosmetic procedure, you can get to work finding ways to pay the amount as quickly as possible. Chances are you have heard of the many dental discount plans advertised on the radio and television. The plans aren’t insurance but they do save you plenty of money on certain procedures. You can find a discount plan by conducting an online search for further details. Usually, there is a small monthly membership fee involved but the cost of the procedures compared to the money you save with the discount program are often impressive. Most orthodontist offices offer their patients financing plans to help them afford their cosmetic dentistry needs. This type of option involves making a down payment and paying the remaining balance in monthly installments. This is often the most popular option patients choose to pay for their cosmetic dentistry treatment and procedures. You might have already heard about flexible savings accounts from your employer. It’s also referred to as FSA. Basically, an amount is withdrawn from every paycheck and placed in a flexible savings account. This automatic deduction is kept in the account until you are ready to use it. some employees have reported being able to save more than $2,500. If you are interested in this option inquire further with your employer. This option is similar to using a credit card but it is basically an interest-free loan. You can use the amount you are approved for towards any medical or dental treatments you require. If you have personal savings you can use it towards paying the cost of the cosmetic dentistry treatment. This option is often the last resort after all other opportunities have been exhausted or denied. Cosmetic dentistry can range from a want to a need depending on the specific situation. It’s important to keep your mouth, teeth, and gums healthy for your overall well-being. If you need a cosmetic dentistry procedure that can’t wait until you save the money a few months or years down the road, it’s wise to try the tips listed above. Never postpone dental treatment that is necessary due to lack of funds. There is always a way to pay for treatment. Contact us today for an appointment to begin your journey towards a beautiful healthy smile.